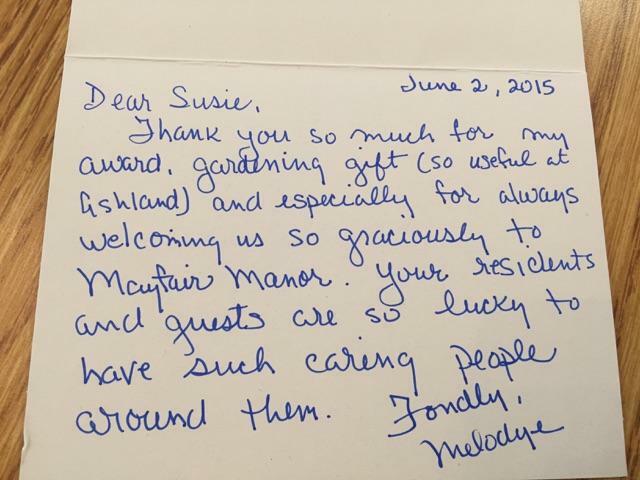 Melodye Kinkead from the Garden Club of Lexington passed along some kind words to our Activities Director, Suzy Rupp for recognizing volunteers at the annual Volunteer Appreciation Program. Dr. Richard Gift, a well-known resident at Mayfair Manor also welcomes new residents to the facility. 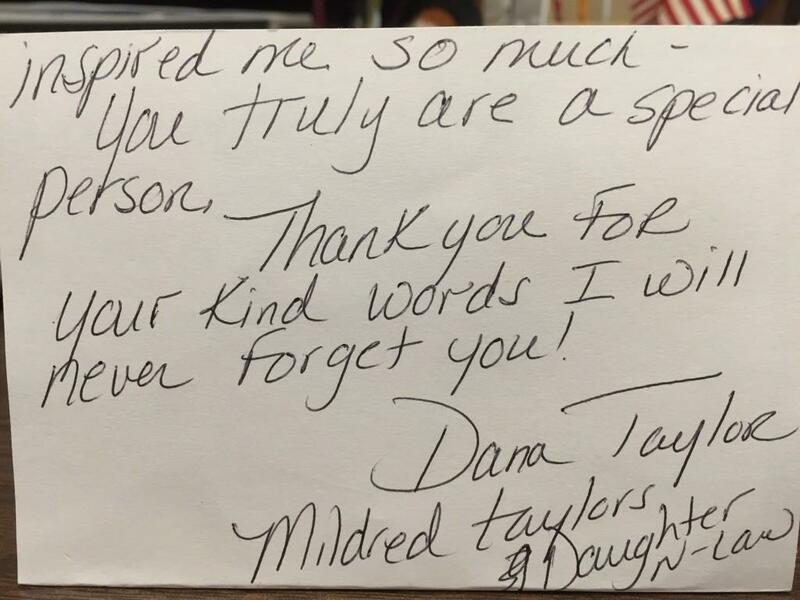 Recently, Mildred Taylor’s daughter-in-law expressed her appreciation for the warm welcome with a kind note. Thank you, Dr. Gift, for the kindness and positivity you shared with they Taylor family! 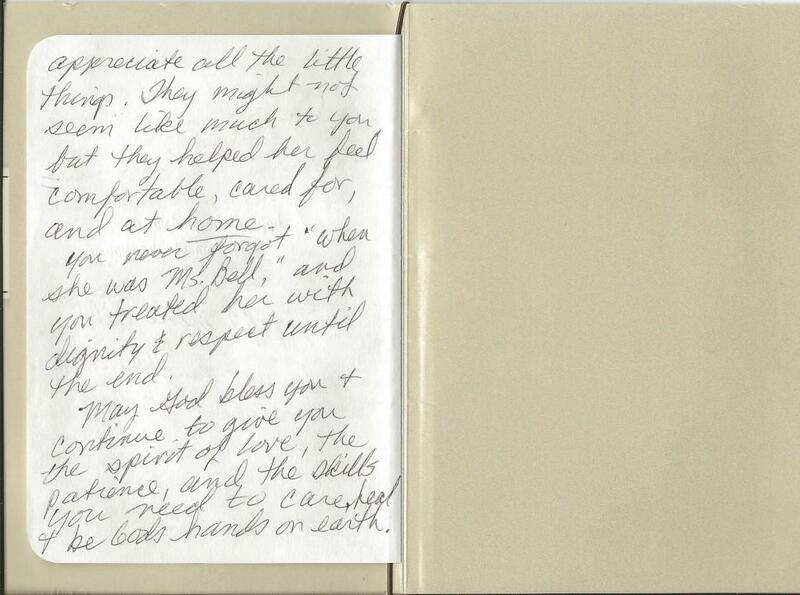 Mayfair Manor staff received a letter of appreciation from Ralph Breeding’s son Gregory. 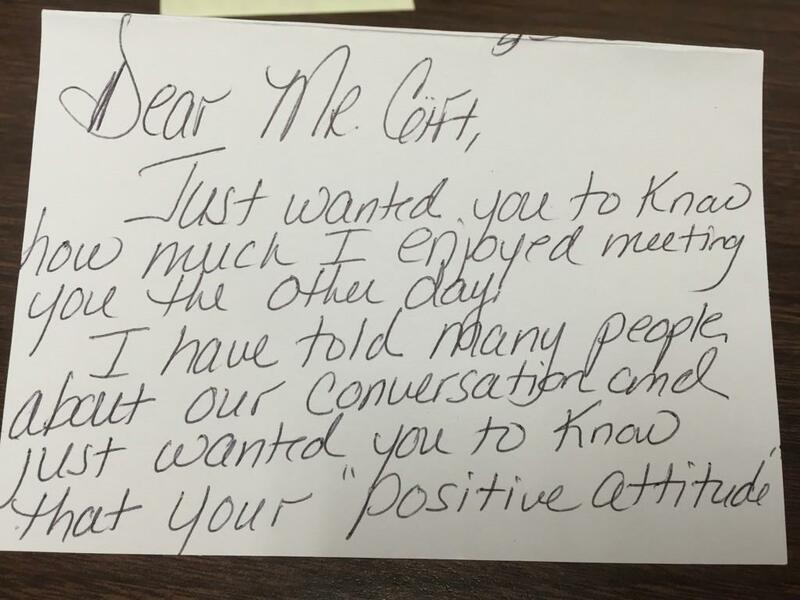 Letters like this are a great reminder that what we do is important and well worthwhile. 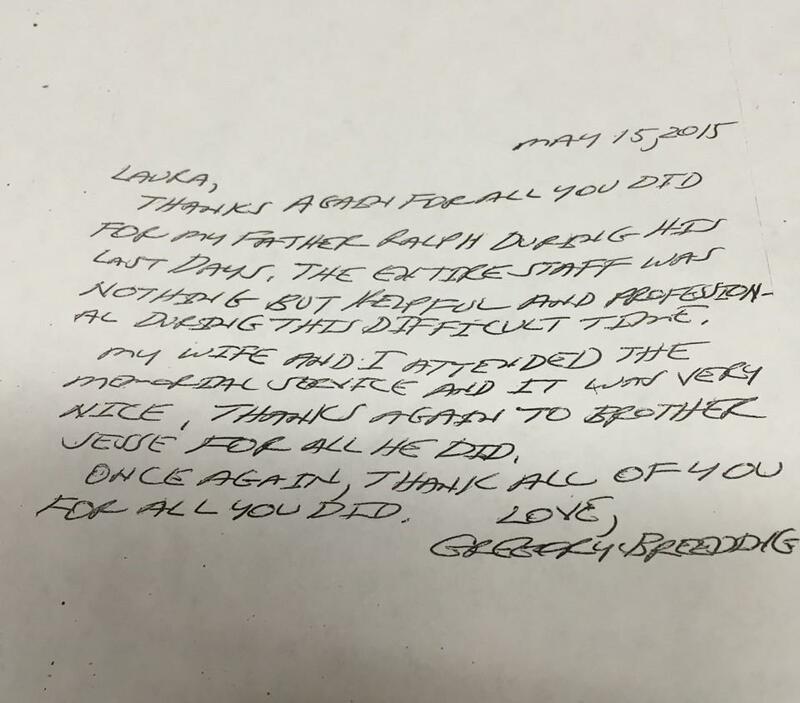 Thank you for the kind words Gregory! 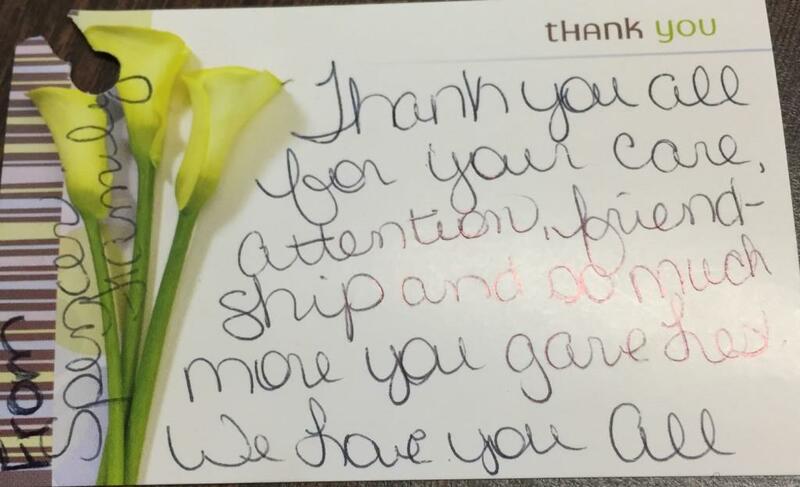 Jeff and Marie Bell, son and daughter-in-law of patient Beulah Bell, sent a beautiful appreciation card to Mayfair’s staff and stakeholders. All who cared for Mrs. Bell loved and enjoyed her stories, her gracious demeanor, and sunny personality. 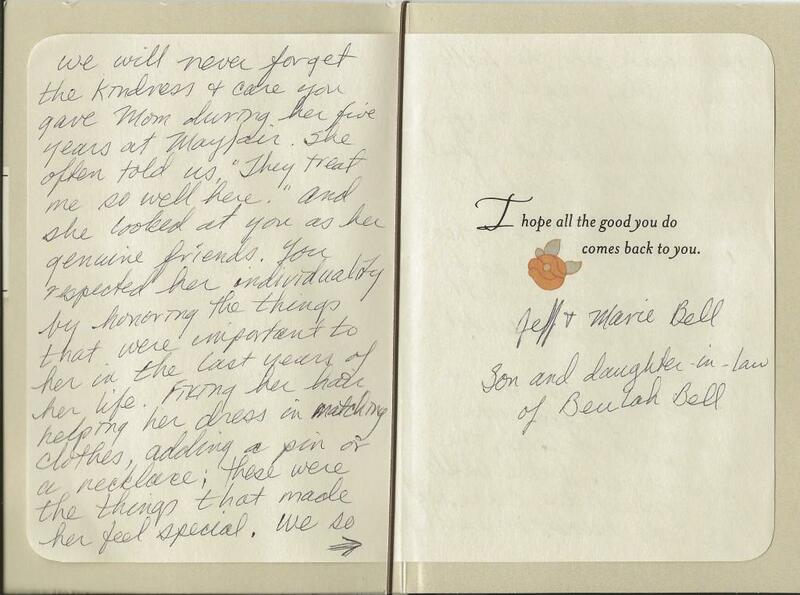 Thank you, Jeff and Marie, for allowing us the privilege and honor to care for your Mom.